Mid-size crossovers like the 2019 Kia Sorento and the Ford Edge offer premium passenger space and are still nicely suited to navigating tight roads, unlike their larger counterparts. So, which is right for your family, the Sorento or the Edge? Our comparison guide is here to help you make the right decision. With standard third-row seating, the Sorento accommodates up to seven passengers. The Sorento’s roomy cabin and easy-to-handle mid-size body make it the perfect pick for big families who tend to travel through crowded streets. The Ford Edge is certainly roomy, with plenty of space for your loved ones, front and rear. However, the Edge only seats up to five passengers, so it might not be the right choice for your big family. In terms of keeping you connected, the Sorento leads the way. 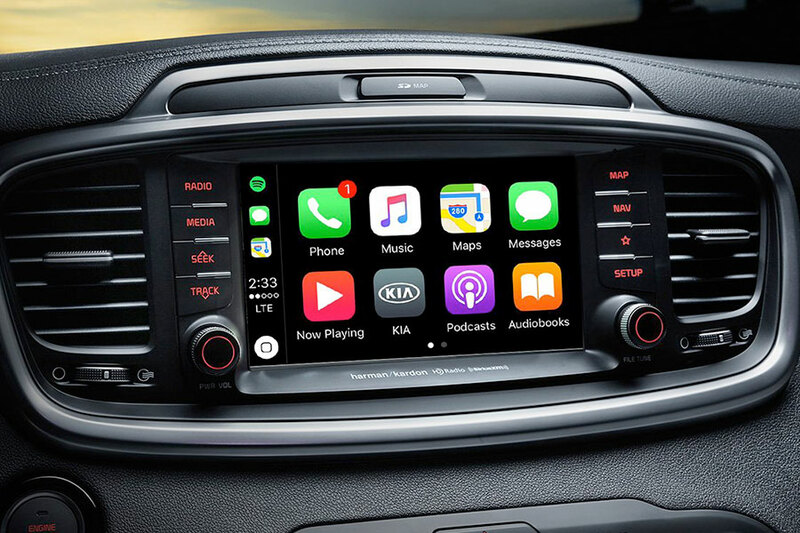 Apple CarPlay and Android Auto is standard equipment, displaying smartphone apps on your central touchscreen to keep you from having to look down at your phone. We’re also big fans of Kia’s Uvo infotainment system. Its menus are intuitive and its touchscreen options – 7- or 8-inch – are quick to respond to your input. This system won’t leave you pecking at it in frustration. In addition to world-class infotainment options, the Sorento saves you time with features like keyless ignition and proximity entry. When you’ve got big items to load and unload, the power liftgate also comes in handy. Back on the Ford Edge, you’ll find the Sync 3 infotainment system. Although the central touchscreen won’t impress you with its graphics, it’s straightforward and easy to use. The system also features complete smartphone integration with Apple CarPlay and Andriod Auto. However, when it comes to convenience, the Edge lags behind. Its keyless entry pad just isn’t as cool as the Sorento’s proximity entry and keyless ignition features. Best EPA Ratings: It’s a Tie! Both the 2019 Kia Sorento and the Ford Edge earn up to 22 city/29 highway mpg. These mid-size crossovers give you plenty of power off the line, so you can keep up with fast-moving traffic. Both the Sorento and the Edge are tuned for comfort, smoothing over rough roads with ease. If you’ve got a big boat to haul around, the Sorento is your go-to crossover. With the V6 engine, it tows max loads of 5,000 pounds. This crossover can also potentially handle a pair of four-wheelers or a small camper. The 2019 Ford Edge follows with tow ratings of up to 3,500 pounds. It’s still plenty capable, even if it can’t handle as much as the Sorento. In the end, the 2019 Kia Sorento is our favorite. This mid-size crossover has the space you need for a big family, but it’s not too big that you can’t travel narrow city streets with precision. 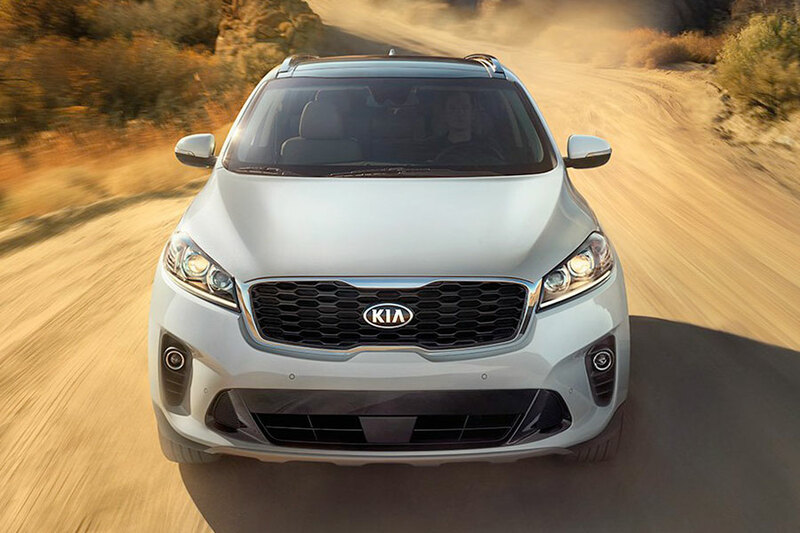 The Sorento also balances performance with fuel economy, giving you the power you need to haul heavy toys and the mileage to stay within your budget.